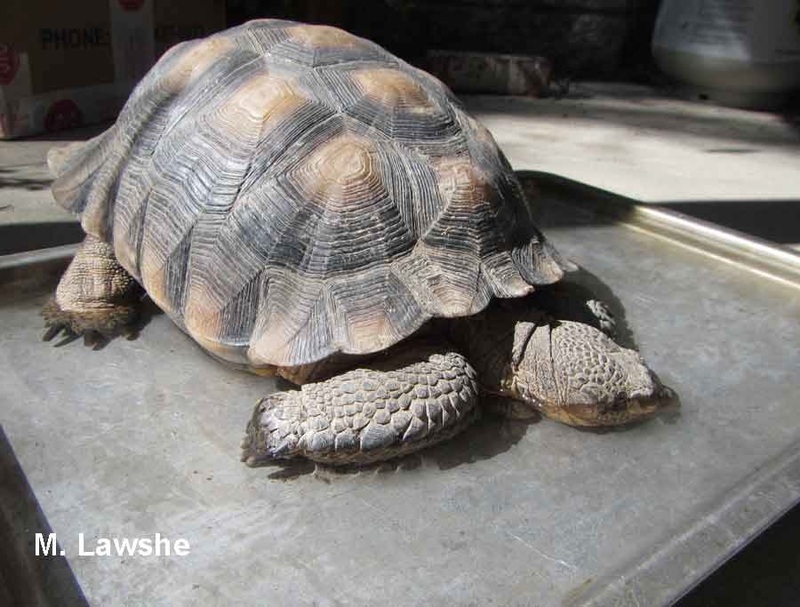 After a winter snooze of over four months, a desert tortoise can wake up thirsty. They walk right into a shallow pan of water and submerge their head for few moments. Here you can see the water is over his nose and eyes. They drink through their mouth, but this guy also blew bubbles out through his nose under water. Especially after a dry winter, it probably feels good to rise out dry nasal passages. He relaxed with his head under the water for a while, periodically taking large gulps of water or lifting his head slightly to take a breath. Then he would resubmerge his head. In recent years, scientists have discovered that Aldabra tortoises, on dry islands in the Indian Ocean, can draw water up their nostrils to drink. 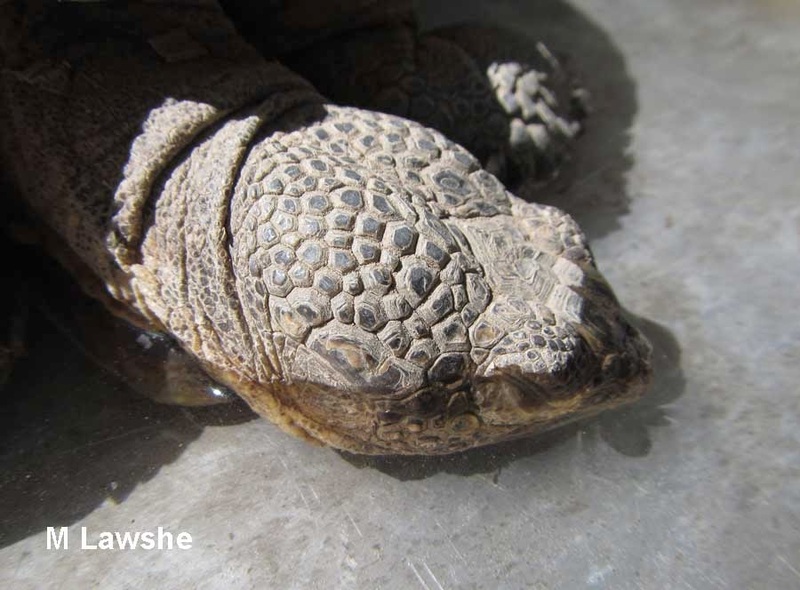 A flap in the nasal passage closes off the pathway to the lungs and allows the tortoise to use its nose somewhat like a straw to drink from shallow puddles of rainwater. I'm wondering if North American desert tortoises might have a similar adaptation. They also live in a dry habitat where rainwater is sporadic. When they drink, they prefer to include their nose in the process. I have never observed them drinking with their mouth submerged and their nose above the water's surface. Can they drink with just their nostrils pressed down into a shallow film of water? I don't know, but it is definitely worth investigating. Note - Don't confuse this with breathing underwater. Desert tortoises are land animals. They can not swim and the weight of their shell causes them to sink in water. They may drown if they fall into a pool or pond. Because turtles have slow metabolisms and very complex circulatory systems they can survive without access to oxygen longer than mammals, but they can still drown.